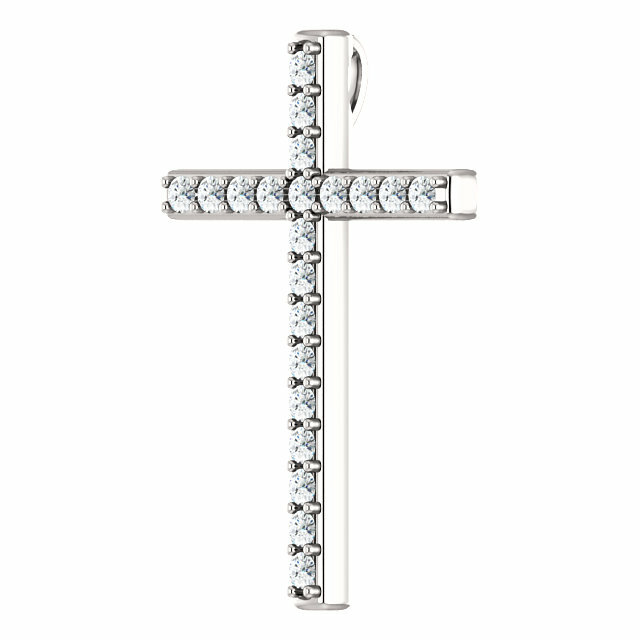 This beautiful white gold diamond cross pendant is set with 21 diamonds totaling a combined 0.63 carats of diamonds. Wear this quality diamond cross as a reminder that once we put our faith in Jesus Christ, we will receive everlasting life! "Verily, verily, I say unto you, He that heareth my word, and believeth on him that sent me, hath everlasting life, and shall not come into condemnation; but is passed from death unto life" (John 5:24). The bible says that we now have everlasting life, and by definition, everlasting means that it will never end. So there is nothing that a truly born-again saved Christian can do to lose his or her salvation! Take comfort in that, Saints! 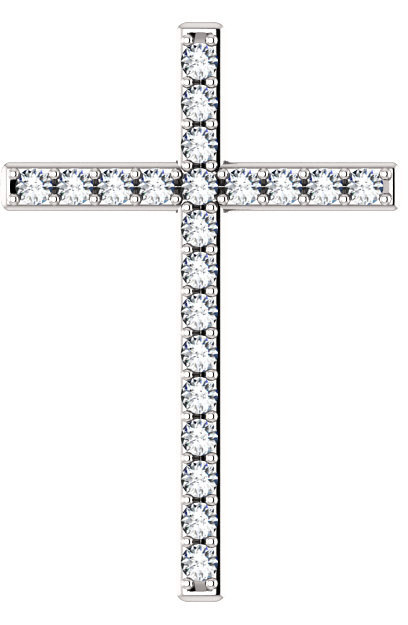 The "Everlasting Life" diamond cross pendant is available in your choice of 10k, 14k, or 18k white gold or platinum (please allow an additional 7 days for platinum cross orders). The cross measures 1 1/4" tall x 0.85" across and has a hidden hoop/bale which is concealed behind the pendant when worn. 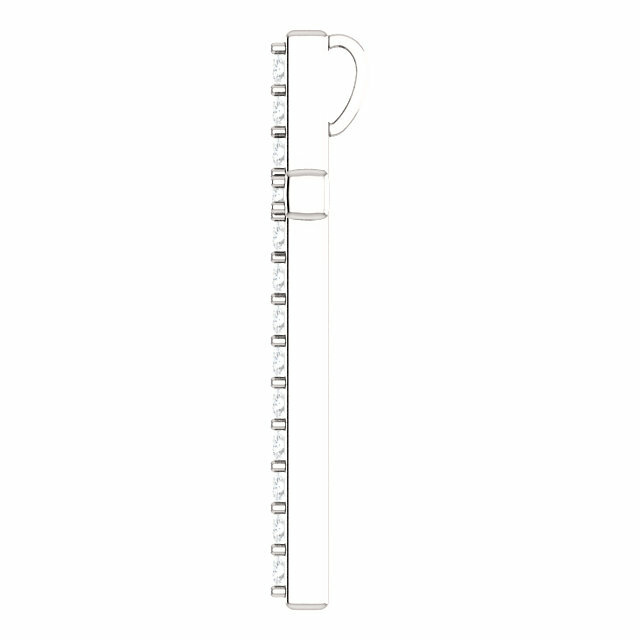 Add a matching white gold cable-chain necklace (optional) or wear it with one of your own choosing. We guarantee our Everlasting Life Diamond Cross Pendant in White Gold to be high quality, authentic jewelry, as described above.